A light and delicately flavoured scallop mousse which makes a delicious French starter for two. The scallops have been confit in butter and the flavour of seafood and scallop shine! Scallops (60%), fresh butter, onions, bread, water, salt, pepper. 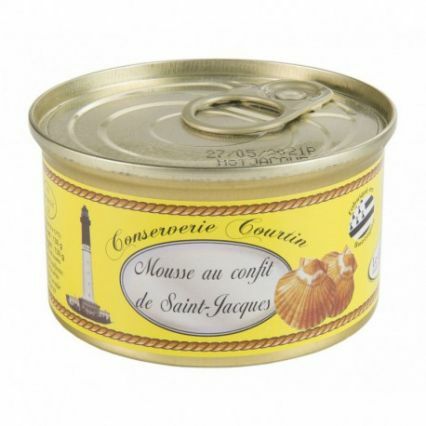 Best enjoyed served cool on lightly toasted bread with a chilled white wine such as a Sancerres.